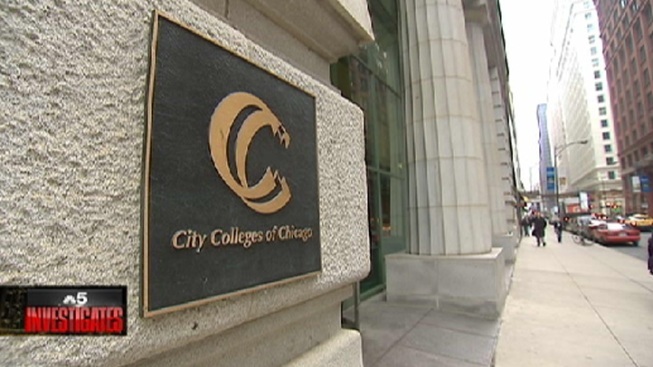 As work continues on a new $251-million dollar nursing facility for the City Colleges of Chicago, two of its nursing programs have been placed on probation after students failed to pass a required licensing test two years in a row. The work is being done across the street from the west side campus of Malcolm X College, which is one of the two on probation by the Illinois Department of Financial and Professional Regulation. The other is Richard J. Daley College on the southwest side. For the past five years the program that awards associate nursing degrees at Malcolm X campus has failed to meet state standards. A 75 percent pass rate is required of students taking the National Council Licensure Examination. Since 2009, the nursing program at Malcolm X has failed to meet the standard, dropping to its lowest score in 2010 with just a 42 percent pass rate. In February 2012 Mayor Emanuel and City Colleges Chancellor Cheryl Hyman announced plans to revamp Malcolm X into a state of the art medical training facility, even as the associate degree program there failed to meet state guidelines. "We are going to make sure that graduates at Malcolm X have a shot at those 84,000 jobs in healthcare," Emanuel said at the time. At Richard J. Daley College almost all nursing students passed, until a big decline started in 2010. By 2012 the number stood at 73 percent. Last spring administrators at Daley devised a "Strategic Plan for Improvement" for the Illinois Department of Financial and Professional Regulation, which monitors the program. But the pass rate for 2013, announced last month, fell to 55 percent. While both Malcolm X and Richard J. Daley are on probation, according to IDFPR's website, the associate degree nursing programs at Wright and Truman Colleges remain above the 75 percent mark. Improving the City Colleges of Chicago performance has been a prime objective for Mayor Rahm Emanuel as he has emphasized job training in order to get more students into the workforce. "I want the adults and kids who are going to our community colleges to be able to compete where the jobs are," Emanuel said previously. We asked City Colleges for permission to view its nursing program at Malcolm X and Daley Colleges. Permission denied. We asked City Colleges for an on-camera interview. Request denied. We asked to talk to the head of the states' Board of Nursing. He declined. And our request for an on-camera interview with the Department of Financial and Professional Regulation was also denied. Jay Stewart, the former executive director of the Better Government Association, is now the Director of the Division of Professional Regulation. A spokeswoman said our interview request was denied, "Because these programs are below 75 percent pass rates, the Department has the option of taking action," nd that "no final decisions have been made." Still, the state has never moved to eliminate a program for failure to meet the 75 percent requirement. Across the street from Malcolm X, the sounds of construction fill the air. Last Fall the mayor helped break ground for the new $251 million health science building, where by 2016 all nursing programs will be housed, including two which remain on life support.